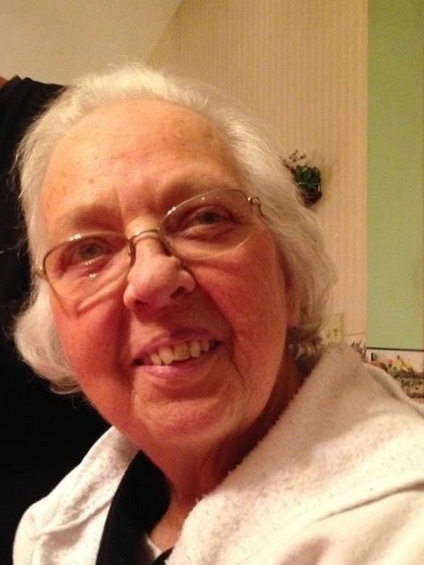 FULTON, NY – Valerie Hopkins, 77, of Fulton, passed away Tuesday October 6, 2015. Born in Fulton on February 14, 1938, she had resided in the Fulton area her entire life. Val enjoyed crossword puzzles, reading, working in her garden and above all, loving her family. She was predeceased by her parents, Harriet D. and Donald G. Pitcher Sr.; and siblings, Marilyn Bennett, Reginald Pitcher and Dion Pitcher. Valerie will be forever loved by her husband of 57 years, Robert E. Hopkins; children, Robert J. Hopkins, Russell E. Hopkins, Elizabeth A. Bolster and Kathleen L. Halstead; grandchildren, Ian J. Hopkins, Nina E. Walton, Amanda L. Hopkins, Russell E. Hopkins II, Jeffrey R. Buck, Maegan E. Swick, Jamie M. Buck, Mara R. Halstead and Garrett C. Halstead; nine great-grandchildren; brothers, Donald, Ronald, Gerald, Harold, Darryl, Michael, Stephen, Dale and Dean; sisters, Barbara Phillips, Audrey MacEwan, Kay Lindsley, Sheryl Pitcher and Donna Patrick; several cousins, nieces and nephews. A funeral service will be held at 10 a.m. Friday, at Bristol Hill Church, 3199 State Route 3, Volney, with burial in Mount Adnah Cemetery, Fulton. Calling hours will be held 4 to 7 p.m. Thursday, at Foster Funeral Home, 910 Fay St., Fulton. If family or friends should desire, contributions in Valerie’s memory may be made to the American Cancer Society, 6725 Lyons St., PO Box 7, East Syracuse, NY 13057.